Mee Mee's Soft Bristles Kids Toothbrush is an ideal toothbrush for your baby. Once your baby has had all their milk teeth, it is the imperative to introduce them a proper toothbrush for oral cleaning. This toothbrush comes with a big handle that provides a better grip. The edges of this brush are soft and do not hurt your baby. 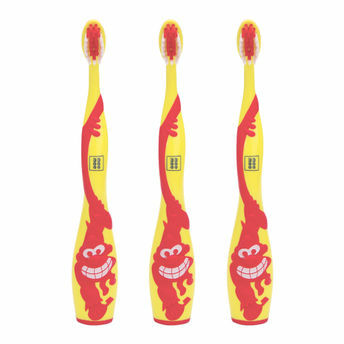 Ideal for kids aged 12 months and up, you can use this toothbrush daily for your young one's dental hygiene. About the brand: MeeMee is a well-known brand in India owned by the company Me n Moms Pvt. Ltd.Launched in the year 2006, the brand promises to fulfill, 'The Joy of Parenting' to every parent with their high quality and innovative baby and maternity care products that follow all safety norms and relevant safety standards.